According to the Florida Department of Health, dog bites result in hundreds of overnight hospital stays in our state every year. We need to do more to protect innocent victims of dog attacks, who are disproportionately young children. Dog owners have the primary legal responsibility to protect the public from the risks posed by their animals and are generally liable for the injuries caused by their animals. That being said, other parties often have legal obligations in these cases. Indeed, if you were injured by a dog, you may be able to hold a landlord liable for the attack. This is true even if the landlord did not own the animal. 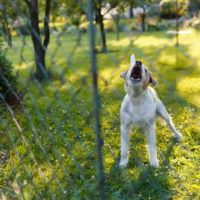 Here, our Tampa dog bite lawyers discuss what you need to know landlord liability and dog attacks. As a general matter, Florida property owners have a legal responsibility to keep their premises in reasonably safe condition for invited guests. In the 1987 case of White v. Whitworth, Florida’s Fourth District Court of Appeals issued an important decision that made it clear that this general legal responsibility included a duty to protect co-tenants (and their guests) from the risks posed by ‘dangerous dogs’. In order to hold a landlord liable because of their failure to remove a dangerous dog, a victim must be able to prove that the landlord knew or should have known about the presence of the animal and the risks it posed. As with all premises liability claims, reasonable foreseeability is a required element of a successful legal case. If a tenant snuck a dangerous dog onto a property, and then the dog injured another person on that same evening, the landlord would almost certainly not be held liable. This is because the landlord would have had no reasonable opportunity to take corrective action to remove the animal. On the other hand, if multiple tenants were complaining about the presence of a vicious dog over the course of several weeks, and the landlord or property management company simply failed to take action, then they may be held legally liable for any future injuries caused by that dog. In Florida, landlords cannot be held liable for off-premises dog bite injuries. For example, in one 1995 case, a couple kept a dangerous dog at the house they rented. Their landlord knew about the presence of the animal and the risks it posed. One day, the dog escaped from the property and ended up causing injuries to another person in the neighborhood. The court ruled that the dog owners were liable for the injuries, but that the landlord could not be held liable in this circumstance. Under Florida law, the landlord’s potential for liability typically stops at the property line. At Pawlowski//Mastrilli Law Group, our dedicated personal injury attorneys have the skills and experience necessary to hold negligent landlords liable. If you or a family member was injured by a dog, please contact our team today to set up a free, no-obligation review of your case. Our office is located in Tampa Bay and we serve injured victims throughout the region, including in Odessa, Wimauma and Ruskin.